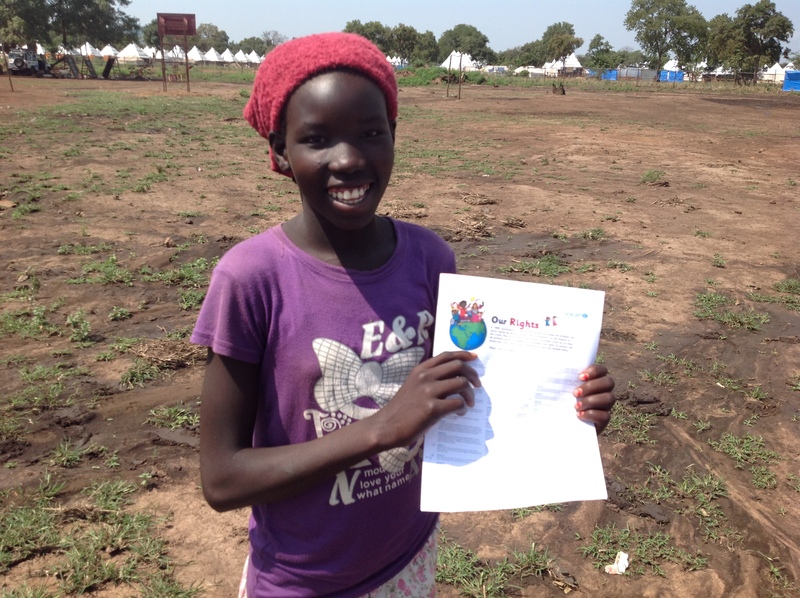 Empowering Girls – Empowering Humanity: Picture It! As part of the Guardian interactive article for the 25th anniversary of UN convention on the rights of the child, we asked children across the country what rights were most important to them. Presented with a child-friendly version of the convention, this is what they had to say. For the International Women’s Day celebration we selectively pictured the girls. Interactive Gallery, click on each image to enlarge and read story. 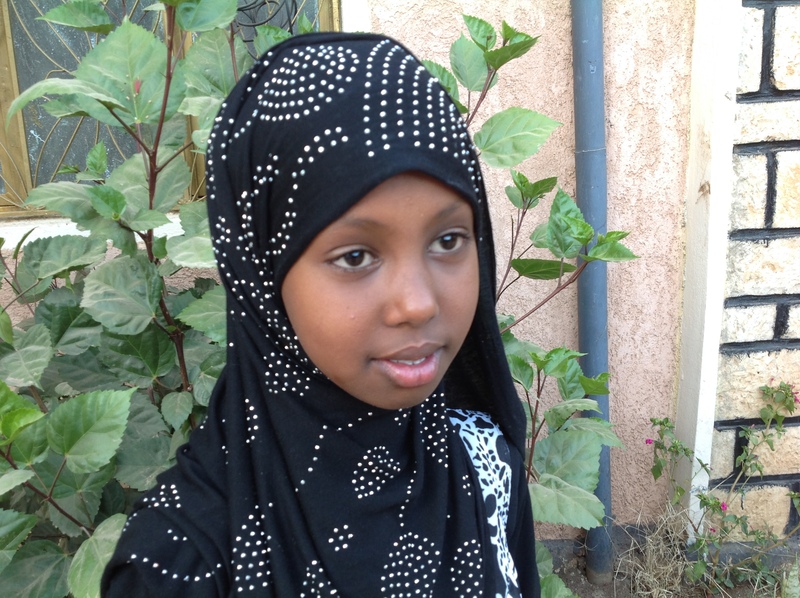 Hikma Jamal Ali, 12 Somali, Ethiopia. To learn my education, to protect my right and safety. Article 26 “Government must provide extra money for the children of family in need” I have a neighbour friends of poor family, their father has passed away and their mother has nothing, they cannot go to school that I am going to and they are not happy. On our holy day (EID Al-Fatir), they were crying for the mother to buy clothes for them but she can’t afford it, and my mother gives her money to buy clothes to them. They are a children like me, so if the Government continue supporting this children of poor family, they can learn and change their life, their family life and will be asset to our country. My views are not ignored but sometimes in schools my teacher do ignore my view. What My teacher always come with his note book and let us read only once and he will take it back. But I wish I could have that note. When I ask, he will not let me explain why I need it but just say NO. My future looks bright and educated lady, I wish I can be a doctor helping female of Ethiopia those who don’t want to show their body to men’s and I also wish to help poor children in future. I wish there will be opportunity for me and children in my area to have a historical place visit in different part of our country. 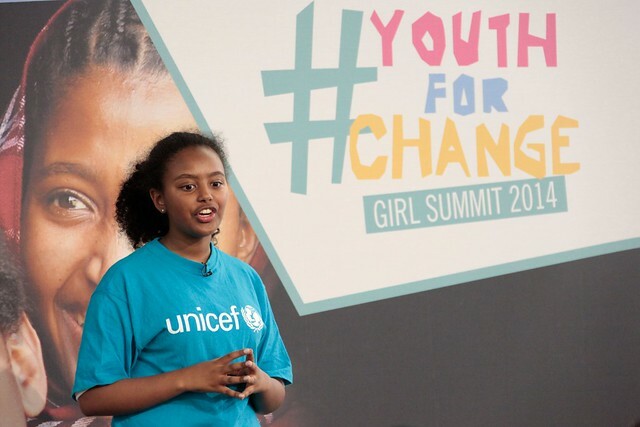 Amina Mohammed is an eighth grade student in Semera Girls Boarding School Afar, Ethiopia. She is 16 years old. To fulfil the right of the child to education and protect them from any Harmful Traditional Practices that hinders to complete primary education. 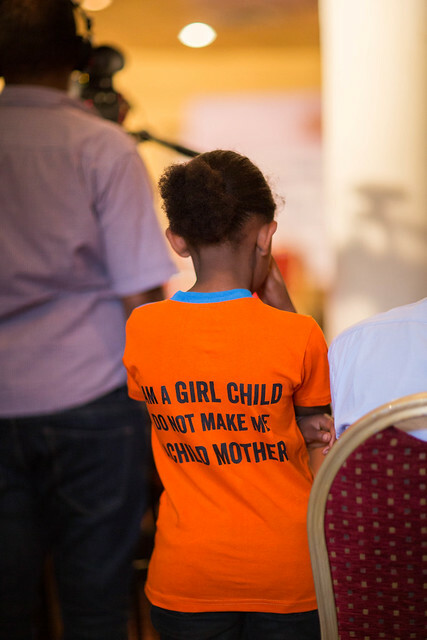 The right of the child to be protected from FGM/C, Abduction and Child Marriage. The reason is all these practices have long lasting impact on a child’s life. Since Abduction, FGM/C and child marriage are painful, the gov’t should take administrative measures to ensure these rights. A number of adults ignored me on the abandonment of FGM/C and Child Marriage. I would like to tell them “stop FGM/C, Abduction and Child Marriage.” I like to see all pastoralist children mainly girls have access to, and complete primary education of good quality and contribute for the development of their region and country. Education is the only means to ensure the right of the child to be protected. So, I encourage children to work hard in their education. 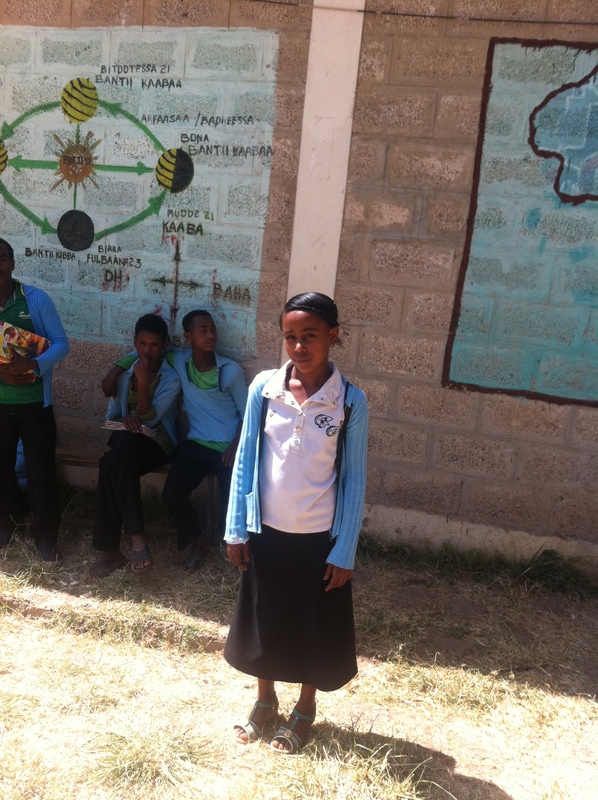 Asma Musa is an eighth grade student in Semera Girls Boarding School Afar, Ethiopia. She is 16 years old. To fulfil the right of the child to education will protect us from any form of child labour. The right of everyone to education, one can develop his/her potential if and only if education is available and accessible. In other words, children can contribute for our family and country a lot if education is available and accessible for them. There is ignorance in our society mainly on the importance of girls’ education. And I would like to advise adults, children have set of rights that everyone needs to respect through continuous awareness raising stages. 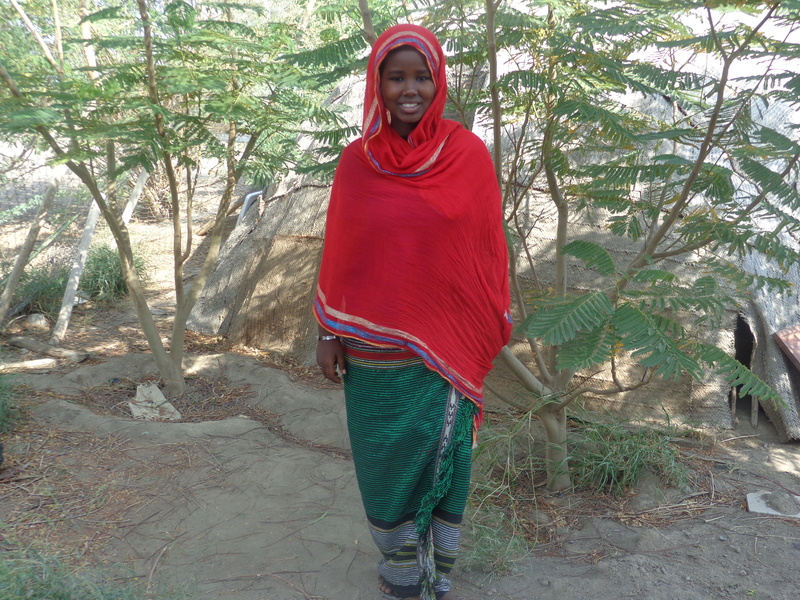 For example, “Child marriage should stop now.” I like to see all pastoralist children mainly girls have access to, and complete primary education of good quality. 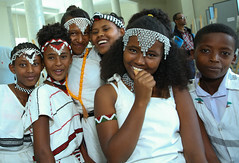 Yalemwork Nibrete, 15, Grade 8 Amhara, Ethiopia. To protect children from work load, other form of abuses, to help children learn and develop their potential Article 21 Best interest of the child must be top priority in all things that affect children I wish that all children protected from harmful traditional practice and violence. 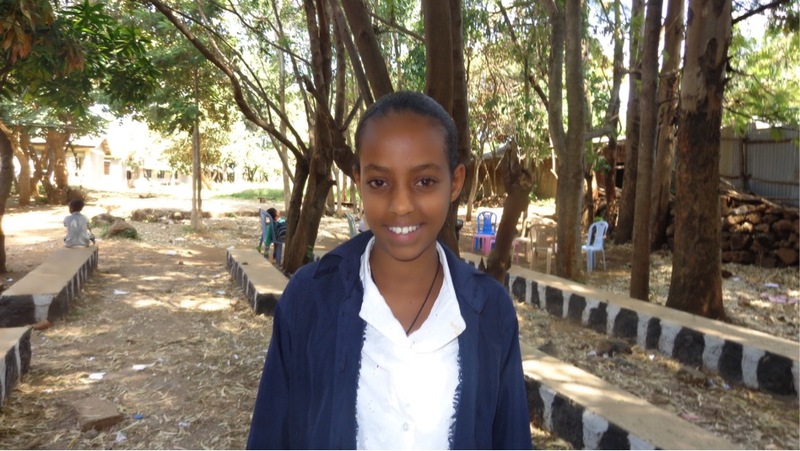 Kidist Zelalem, 14, Grade 8 Amhara, Ethiopia. Children need special right because they are the builder of the future generation and they can’t protect themselves the right. It helps to bring the perpetuator to the attention the law. Article 42 Governments should make the convention known to the children and adults I wish to see girl children living in rural area protected from child marriage and violence, fully exercise their rights and get access to education. Nyabel Bith Gath, Gambella, Ethiopia Children will gain knowledge in school and become good people. We are always thinking about our relatives left behind in south Sudan, so the article on family “togetherness” is good. We as girls have the right to play because we do most of the hard work at home. So, article 28 about good education and articles 9 and 10 talking about separation from parents living together with parents are very important for me and my other families in Tierkidi camp. In the future all of us will be in school again and “follow” our classes, the war will be over and there will be no discrimination. 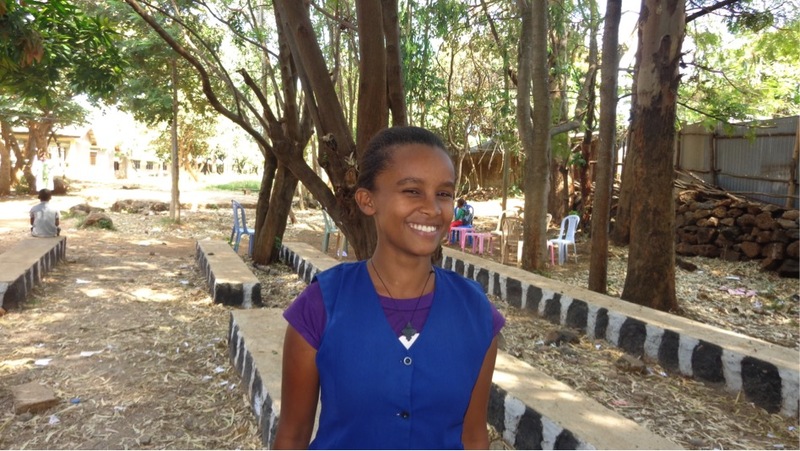 Mestewat Tolera, 15 , Addis Ababa, Ethiopia. As children are the future of the country, their rights should be valued. Children should have access to education whether they are in rural or urban areas. The part of the convention that means the most to me is the part that says we should have equal education regardless of gender and ethnicity. And equal human rights, like living rights and moving from place to place. My message is that parents or adults should not tell me to keep silent when adults are speaking; I should be part of their conversation, and they should value my opinions equally. 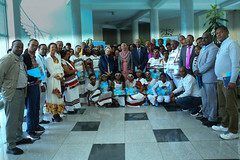 Author UNICEF EthiopiaPosted on March 10, 2015 Format GalleryCategories Afar, Amhara, Child Protection, Ethiopia, Gambella, HIS, SomaliTags child friendly, child rights, children Ethiopia, convention on the rights of the child, CRC, crc25, empower women, ethiopia, girl child, girl empowerement, girls, IWD, IWD2015, unicef, women, womens day1 Comment on Empowering Girls – Empowering Humanity: Picture It! 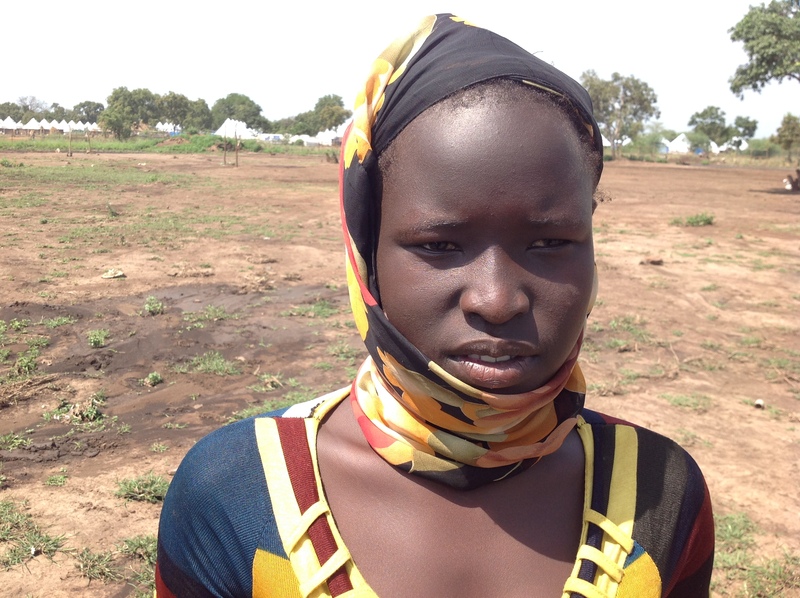 How can we redefine the world’s view to make the case for protecting girls? 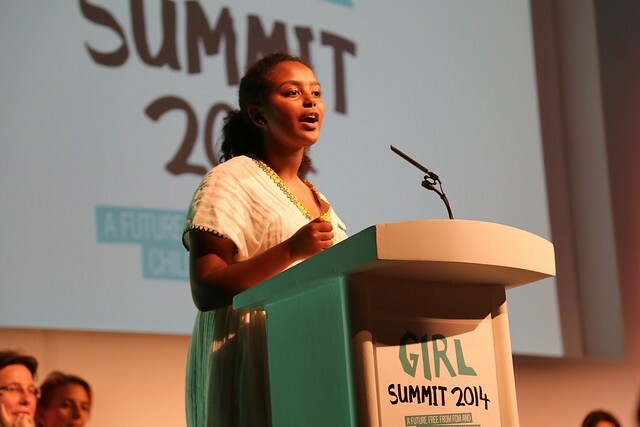 The Girl Summit was a forum designed and hosted by the UK Government and UNICEF, to mobilize all world efforts to end female genital mutilation/cutting (FGM/C) and end child, early and forced marriage in my generation. It openly discussed issues of gender inequity and disparity and challenged public and non-profit sector leaders to create innovative solutions and commitments at the Summit. Closing this event was a surreal experience, and an absolute honour. When representing any demographic, there is a certain amount of responsibility to present the absolute truth of the issue. In this particular event, I had the incredible opportunity to echo the voices of the many girls around the world taking action in response to the calls to end the endless challenges for girls in education, health and the community, which further perpetuated harmful traditional practices. #Youthforchange hosted by UK Secretary of State for International Development Justine Greening and Home Secretary Theresa May exemplified that spirit of change by having a youth-focused audience and engaging programmes. Important strategies such as school outreach were discussed, including a competition honouring schools that creatively used media as a method of presenting these vital issues. It was then up to the many public leaders at the Girl Summit to respond. We heard from UK Prime Minister David Cameron, girl activists like Malala Yousafzai and various NGO’s to answer questions on financing for girls, ensuring equal access to education, and protection from FGM/C and child marriage. There were also discussions with likes of Anthony Lake, Executive Director of UNICEF and Deputy Minister of Ethiopia- H.E Ato Demeke Mekonnen. All who participated in the discussion recognized protecting girls was not only the right thing to do, but critical to our global future. Ending off the day in the closing plenary allowed me to re-state the importance for girl involvement and engagement in these discussions, to ensure girl voices are represented around the world. As we all know, discussions among the public and private leaders are not enough. When we have the opportunity to make a difference anywhere, we should seize it, however special attention should be given to the issues girls face, as they are the foundation of our future. It is all in the facts: empowered and protected girls are able to form their families and communities and better contribute to our world socially and economically. The dialogue exercised at the Girl Summit cannot end there. It must manifest into commitments, be implemented into action and support this movement of rising girls around the world. Only then will we start to see a change in the way the world values girls. Girls are the mothers, community leaders and advocates of today. It all starts with a promise to champion for girls everywhere. If the way we view ourselves shapes our future, and our perspective influences how we invest our resources, the most important question is: how can we redefine the world’s view to make the case for protecting girls? Author UNICEF EthiopiaPosted on November 25, 2014 Categories Child Protection, DFID, Hannah Godefa, MDGTags child marriage, children, DFID, early marriage, EndChildMarriage, endchildmarriagenow, ethiopia, girl, girl child, Girl Summit, girls, London, UK, unicefLeave a comment on How can we redefine the world’s view to make the case for protecting girls? 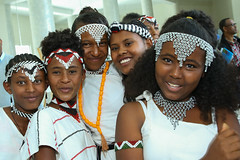 The International Women’s Day event at the Faculty of Business and Economics Campus was organized by the UN Communication Group in collaboration with the Addis Ababa University (AAU) Gender Office and attracted high level female panellists from the arts, business, legal, international organisations and civic engagement actors. The panel discussion helped young women and men from various faculties of Addis Ababa University to have a chance to interact and dialogue with some of the leading women figures in the country. 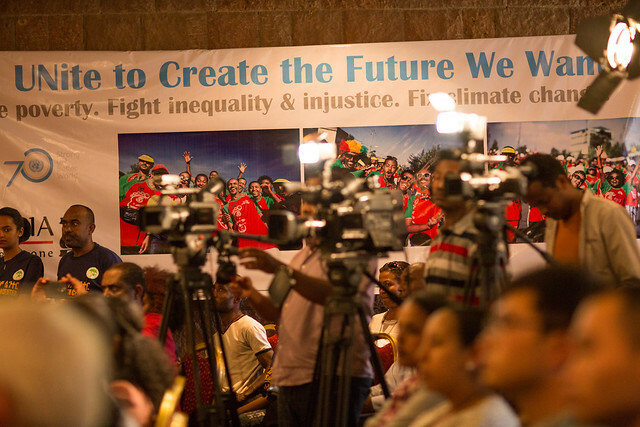 In addition, the event helped to build youth consciousness towards women’s role in development, social welfare and overall human progress, taking the Ethiopian context into perspective. Panellists shared their experiences and personal stories of struggles and triumphs to break through barriers to achieve the leadership roles in their area of expertise. Moderating the discussion, Ms Nahu Senay Girma, Founder and Executive Director of the Association of Women in Business (AWIB) Ethiopia, urged the young youth who attended the discussion to ‘actively participate by asking questions and in general, to always grab opportunities to network’ such as the panel discussion. Ms. Birtukan Gebregzi, Vice President of Enat Bank outlined gaps existing in access to finance for women in Ethiopia, often disadvantaged by factors such as lack of ownership of property and land. 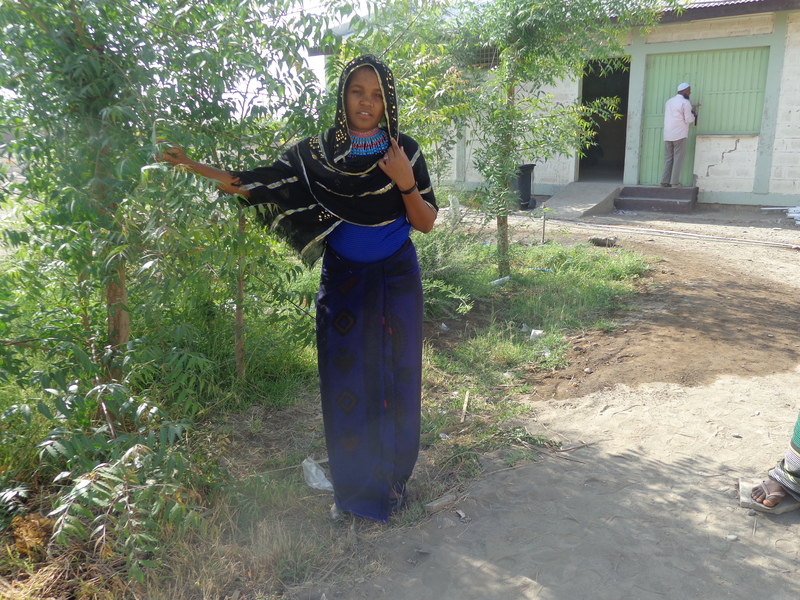 She stated that being the first bank to be set up by women in Ethiopia, there has been an encouraging growth in numbers of women clients, standing at ‘65%’ however, compared to their male counterparts, ‘women often take lower loans and hence the increment in female clients is more of numerical than financial gain nature’. Advising the young students to ‘follow their passion and have strong self-belief’, Ms Desta Hagos, one of Ethiopia’s first female artists, who is planning her 50th exhibition this month, also urged the students to ‘not be afraid to pursue dreams but in a focused manner’. The regional and continental perspective of women empowerment were shared by Ms Aster Zaoude, former regional director of UNIFEM for West Africa, and founder of the Tsehaye Zaoude Foundation supporting visually impaired female students at AAU. She urged the students to ‘work together and build solidarity’ to address issues faced by girls and women. Ms Zenaye Tadesse, Managing Director of the Ethiopian Women Lawyers Association encouraged the students to learn about rights while Ms Chachi Tadesse, performer and activists for street children cautioned the participants against a ‘poverty mentality’ that lets thoughts of scarcity translate to physical barriers. Ms Engedaye Eshete, Chair of Ethiopian Women Entrepreneurs Association spoke of the opportunities opening up for women entrepreneurs and the linkages across the country that her association was establishing including for the disabled. The half day discussion reflected on various issues including the laws and policies enacted in the Ethiopian Constitution to create favourable conditions for women and the challenge remaining when it came to execution; deep rooted traditions and stereotypes that continue to impede progress. The exciting dialogue between the panellists and the auditorium full of students highlighted building awareness in communities; engaging influential people to spearhead change to address attitude-based setbacks; recognizing that men are important partners in empowering women; and investing in building leadership capacities of women.